Hi! My name is Miranda Carrithers! Disney has been a huge part of my life since I was 5 years old! I was fortunate enough to visit the parks with my family almost every year during my childhood. This Disney passion has only gotten stronger with age. 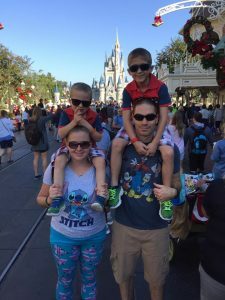 All of my favorite family memories happened during our Disney Vacations. While working on my BA in Business Marketing I had the opportunity to participate in the Disney College Program in Orlando, FL. During that time I gained experience in the hospitality industry working at numerous Walt Disney World Resorts. This was an experience of a lifetime and allowed me to help make magic for families visiting Disney from all over the world. I am so excited to share my tips, tricks, and passion for planning a Disney Vacation with you! As your personal travel specialist I promise to design your vacation just how you have always pictured it. The best part is my services are completely FREE to you! I have experienced the magic at every stage of my life and can say each trip has been such a joy. I know how magical and special a Disney vacation is and I am so excited to help you plan your dream vacation!